For those that suffer with constant or sporadic outbreaks of acne, it is a constant worry. Even if you’ve dealt with it for years, it can impact your confidence and even become painful at times. The Clear Skin Salicylic Cleanser is our #1 pick because it removes impurities, dead cells, and excess oil and boosts collagen building. It also helps reduce fine lines and wrinkles. 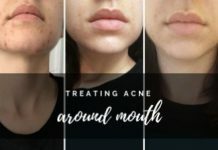 The problem is that you’re constantly bombarded with the latest promise to sort out your acne and blackheads once and for all. Unfortunately, reality is very different, and what works for one skin type might not work for others. One of the most effective ways to keep your outbreaks at bay is to get into a regular routine of using cleansers and face washes. Their effectiveness comes from removing dead skin cells and oils from pores. This helps your skin “breathe” more easily and giving it the time to regenerate. The best acne cleansers will all have active ingredients that work to gently break down oily substances that would otherwise block pores in your skin. This is the number 1 reason both adult and adolescent acne. On this page you will find a huge selection of products that have been tried and tested. They have become part of daily routines for millions of others, who have managed to reduce the problem significantly. As long as you make a choice for your skin type, you will be able to achieve that same relief. If you’re in a rush, below are the best cleansers for the respective skin types, hands down! Won’t dry out your skin or cause irritation. Why Face Cleansing is Important? What’s the Right Way to Cleanse Your Face? Why You Should Wash Your Face with a Cleanser Instead of a Soap? These few minutes of consideration and research will save you a ton of time, effort and money in the future. Because there are two types of face washes and cleansers: the ones that aggravate acne, and the ones that fight acne. But before diving into which kind is good for acne and which is not, let’s talk about why is it important to cleanse your face. And why is it the fundamental part of skincare routine. To keep your skin clean and blemish-free, you need to make face cleansing your top priority. 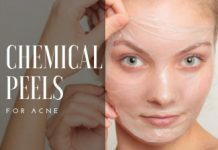 Every day you encounter different situations where you get to face pollution, bad weather and social meetups where a lot of impurities start building up on your skin. To get rid of all such impurities and makeup debris you need to keep up a cleansing routine. Besides, to keep your skin healthy and less prone to acne you need to be very particular about exfoliating your skin. Cleansing removes all kind of dirt, excess sebum and makeup traces that otherwise settle down on your skin. And then trigger unwanted skin problems. Face cleansing keeps your skin hydrated and helps you achieve the right pH for your skin. Cleansing eliminates all the bacteria thriving on your skin. Cleansing unblocks your pores and reduces your chances of getting acne. If you cleanse your skin properly, your skin absorbs other skincare products effectively. Or in other words, face cleansing prepares your skin for further treatments. However, if you choose a face wash or a cleanser that does not suit you then cleansing won’t be giving you your desired skin output. So, it is essential to know how to select the right face wash for your skin. The next section below will help you in selecting a perfect cleanser for yourself. To keep your skin healthy and glowing you need to find a good cleanser for yourself. Here are some tips on how to select the right cleanser for your skin. First, know your skin type. Skin types range from Oily to combination to dry. And apart from this, it can also be sensitive along with these types. Usually all the products in the market label which skin type are they intended for. So, you can select accordingly. But the key is to know your skin type very well. In case you need to wear makeup a lot due to a busy professional and social life, you should look for a cleanser that also removes makeup. This will relieve you from carrying out two different regimens and it will also save your time. If you have sensitive skin and you tend to get allergic to certain ingredients, then buy products that do not contain synthetic elements. In addition to this, you must know specifically which ingredients you’re sensitive to and do not buy products that contain them. If you have dry skin, then avoid face washes that contains alcohol in any form. Also stick to a cleanser, that labels itself as “gentle” so that your skin doesn’t get irritated. If you have an extremely oil skin, or if you sweat a lot, then find a cleanser that targets clogged pores. Apart from this, before purchasing a face wash, do look out for its reviews. It helps a lot. You must always cleanse your skin before going to bed. Not cleansing before sleeping will give bacteria lingering on your skin enough time to cause your skin some trouble. The clogged pores can trigger break outs and your skin will look dull. While massaging cleanser on your face, be patient and work in circular motions for around a minute. This will help in the cleanser being properly absorbed on your skin and clear it out. Use cold water to rinse your face. Warm water dries out your skin and might open your pores. Gently use your fingertips, or a soft brush for scrubbing your skin. Scrubbing your face harshly might leave it rough, red and irritated. Do follow up a with a moisturizer so that your skin stays hydrated. The measure of how healthy your skin is, is directly linked to your skin’s pH level. It needs to be balanced. Any skincare products that you use have a certain impact on your skin’s pH level. A normal adult skin ranges form a pH of 5.4-5.9 out of a scale of 0-14. So, we can say that the natural pH level of an adult skin is slightly acidic. When the pH of a skin is too alkaline, it becomes sensitive. This also leads to aging and wrinkles. A cleanser is always preferred over a soap for face cleansing. Soaps typically have a pH of 9-10 which is alkaline. Though, it makes your skin feel very clean, it has all the tendency to strip off natural oil from your skin due to its alkalinity. Soaps lead to a new host of problems that include dry and flaky skin which is also prone to inflammation. To compensate for this loss of natural oils, the sebaceous glands in the skin start producing excess sebum. And this results in an outbreak of acne. On the contrary, cleanser and face washes generally have a lower pH which keeps your skin hydrated and has a refreshing effect. That is why, you must always use a cleanser to wash your skin rather than using a soap. So, to get the most out of your cleansing routine, you need to dedicate a little more care and attention. Below are some of the faux pas that you need to avoid. Washing your face before going to bed is a necessity. It really doesn’t matter if you are wearing makeup or not, you still need to cleanse your face. Not removing impurities at the end of the day, will leave your skin prone to breakouts and pimples. A quick rinse in the morning is a great idea to freshen your skin. Plus, it allows great absorption of skincare products that you might follow up with. So, germs can infect your skin from your pillowcase during your sleep. Hence, a morning cleanse is the best practice for your skincare routine. When it comes to your skin, hot water is your open enemy. Usually, in winters, hot tap waters seem really soothing but they cause damage to your skin. Warm water makes your skin dry and itchy. Always use lukewarm water if you feel the need but otherwise cold water is the best option. If you really need a makeup wipe to remove makeup, then you should always follow up with a gentle cleanser. Just to wash off any traces of makeup left. It is essential to use a gentle makeup removing wipe or micellar water before cleansing. Your cleanser shouldn’t act as a makeup remover. 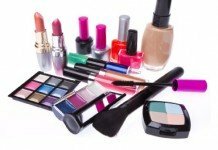 Many makeup brands manufacture waterproof and smudge proof makeup which cannot be removed completely with a basic cleanser. Therefore, it is important to use a makeup remover before exfoliation especially if you wear super stay makeup. Lathering for a longer time duration won’t make your skin cleaner. It will rather do more harm than good. Over scrubbing can result in redness and irritation. The length of your exfoliation shouldn’t surpass a minute. Dr. Jerome Garden, Director of Physicians Laser and Dermatology Institute in Chicago recommends dampening your face with luke warm water. And then applying cleanser with your fingertips. Once you are done building a nice lather, rinse and pat dry with a soft clean towel. Hence, if you want to defy aging, you should always moisturize after using a face wash. This will give you a soft and supple skin. You need to cleanse your skin before applying a face mask. There’s no need to cleanse your skin after that. Masks deliver key ingredients to your skin even stronger than serums. So, you just need to let those ingredients do their thing. 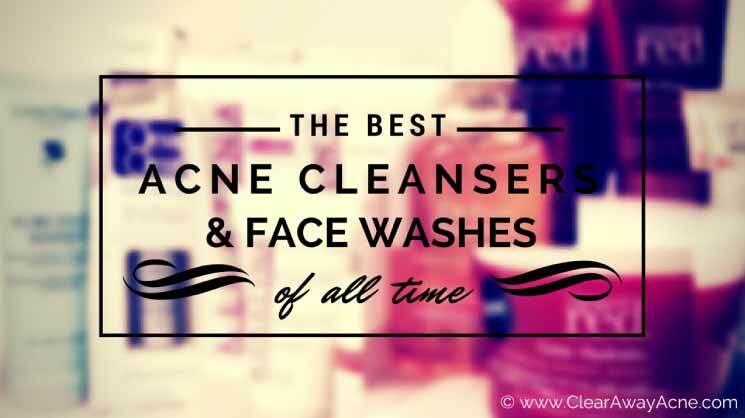 This post includes an ultimate list of 20 acne cleansers and face washes that are proven to be effective, or at least suitable for your acne-prone skin. 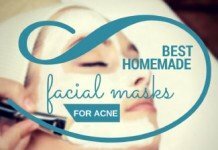 So, these are the ones that will actually fight your acne and prevent it from aggravating. Misumi produces some of the most powerful and effective products for acne-prone skin available on the market today. They use the highest-quality premium ingredients that are safe and work really well on acne-prone skin. We also love how they incorporate a vast array of natural ingredients. Best of all, their customer reviews are outstanding. We’ve heard so many people raving about these products that we couldn’t resist trying them ourselves. The result? A miracle-worker. This Clear Skin Salicylic Cleanser is an incredible combination of Salicylic Acid, Glycolic Acid, Lactic Acid, and natural ingredients like Lavender Flower Oil. It doesn’t just tackle blackheads, whiteheads, and blemishes, but also reduces redness and swelling without drying the skin. Lavender has great antibacterial and anti-inflammatory properties which helps to calm angry breakouts and prevent severe acne scars and uneven skin tone. If you want a high-quality product, with real and lasting results, Misumi has got you covered. This formula combines not one, or two, but three of the most effective acne-fighting ingredients. Salicylic acid helps to clear blemishes and promote healing, quickly reducing redness and swelling. Glycolic acid deeply exfoliates, removing dirt, oil, and sweat that clogs pores and cause acne. Incredibly powerful product with natural ingredients. This anti-acne cleanser easily beats Proactiv and other tough competitors. Lactic acid improves skin texture and reveals radiant and youthful skin. Contains Lavender which has anti-inflammatory, antibacterial and sebum-balancing properties. This product will help calm angry breakouts, and prevent severe acne scars and uneven skin tone. At $28.95, it is a little pricier than its competitors, but the 4 fl. oz. bottle offers a generous amount that is sure to last around 2 months. PRO TIP: If you subscribe to get the product delivered every 1-2 months, you’ll save 20%. Apply a small amount of Clear Skin Salicylic Cleanser to the entire face, concentrating on any problem areas. Massage the formula gently until a lather forms. Rinse well. Repeat daily for optimal results. For optimal results, pair Clear Skin Salicylic Cleanser with Misumi’s Pore Purifying Toner. The two miracle-workers will help you achieve visibly clearer skin in two to three weeks. Folks behind Exposed Skin Care know their stuff well. When it comes to fighting acne, no other brand comes even near their product range in terms of popularity and success. Part of their Expanded Acne Treatment Kit, this facial cleanser alone has the ability to keep your face clear of oil, dirt, and unwanted blemishes. Best For: Oily skin. But it works for all acne prone skin types. Except those allergic to salicylic acid, of course. Contains natural sage extract that helps detoxifying your skin. Contains SA in a small, gentle concentration. So, even if you have sensitive or dry skin, chances are it won’t dry out your skin or cause irritation. Best price for a specialized acne-fighting cleanser – beats ProActive and other tough rivals by far. Lathers well. So, a single bottle of this cleanser goes a long way. 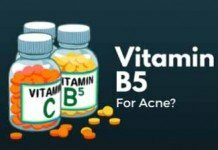 It is pro-vitamin B5, something you won’t find in the majority of products listed here. This helps regulating oil production on your skin. If you have a history of messing up with salicylic acid based products, you might have a hard time with this product. It is a specialized anti-acne cleanser. So, if you only have occasional blackheads or whiteheads here and there, and you’re primarily after keeping your skin clean and clear, this product might be an overkill for your condition. Since it lathers up nicely, you should only take a dime sized amount and massage on your face gently. Repeat this process twice a day (no more than that). Try to use lukewarm water while rinsing it off your face. If you’re unsure if it will suit your skin, you can start with 1 application per day. Once you get used to it, use it twice a day for maximum impact. Though it does well on its own, if used with the Expanded Acne Treatment Kit, it guarantees a clearer skin in 30 days, or you get your money back. So, that’s something worth keeping as an option as well. A powerful deep cleanse with refreshing face wash that leaves your face clear & smooth without harsh chemicals. Its main ingredients are organic tea tree oil & Aloe Vera which penetrates your pores and kills acne bacteria within seconds. 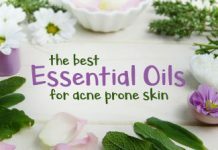 These disinfecting and soothing properties, unlike other acne treatments, will not strip the skin of its natural oils and cause further damage. Active Ingredient: Highest quality Organic Tea Tree Oil & Aloe Vera. Tea Tree Oil & Aloe Vera as a main ingredients. The bottle has a beautiful design but some customers have complained about the pump. Use on face, gently massage your face, rinse off well. Repeat Daily. Christina Moss Naturals is all about natural, herbal and preservative-free skin care. Their products are mostly free from allergies, reactions, rashes or other known side-effects. This one is a flagship product from Christina Moss Naturals that suits acne prone skin well. Perfect choice for natural skin care lovers. Best For: All skin types. But people with too sensitive and dry skins should be careful. Active Ingredient: No active ingredient. Contains 100% natural ingredients. Free from preservatives, parabens, dyes, and synthetic fragrances. Cleanses your skin delicately yet thoroughly to make it clear, fresh, and smooth. Hypoallergenic – won’t cause allergic reactions. Product offers guaranteed freshness and purity for 6 months after your purchase date. Not a very quick fix, needs time for best results. Not for those sensitive towards essential oils, particularly rosemary. Can be “over greasy” for oil skin. Put dime-sized amount of this face wash onto a sponge or even better, Clarisonic Brush. Work in gentle circulating motion on your face. Now, pat dry with a clean wash cloth. When you’re looking for a cleanser that can help you get rid of your acne fast, X-Out Wash-in Treatment is the way to go. X-Out is a new formulation from the makers of Proactiv, a proven acne treatment company with the backing of practicing dermatologists and industry experts. This strong benzoyl peroxide acne treatment works deep into your skin pores fighting acne causing bacteria and removing dirt and brim, which helps greatly in reducing inflammation on your skin in a short span of time. Best For: All skin types. But the strong benzoyl peroxide acne treatment is not going to suit sensitive skins. Active Ingredient: 8.5% microcrystal Benzoyl Peroxide. 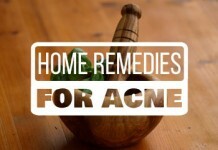 Can be used as a standalone, simple one-step acne treatment. The extra strength BPO lets it work against acne bacteria long after you’ve washed it off. Leaves your skin with a tingly, icy sensation – ensuring the medication is still doing its job hours later. Can also be used as a spot treatment. Dermatologist-tested, free from parabens and sulfates. Although it claims to be designed for all skin types, results for most users with sensitive skin haven’t been pleasant. Not going to be good if you’re allergic to benzoyl peroxide (the main active ingredient in this cleanser). For safer use, start off by using it as a spot treatment. If it doesn’t dry, irritate, or burn your skin, you can start using it as your regular cleanser for maximum impact. You must follow all the guidelines provided with the packaging. This flagship product from Oxy is specially formulated to soothe irritation and rejuvenate your skin. The 10% benzoyl peroxide present is an active ingredient that effectively kills P. acnes (bacteria that cause acne) and makes it a prominent anti-acne face wash.
Best For: All except very sensitive skins, or people who are sensitive to benzoyl peroxide. Specially formulated to fight and prevent acne. So, an excellent choice for acne sufferers. Effectively dries out inflamed pimples and helps fade them away. Works for all ages: a 12 year minor or a 30 year adult. Use it patiently for at least two weeks, and the results will all worth it. It might increase your sensitivity towards sun. So, avoid unnecessary sun exposure. But if it’s impossible, apply a good quality sunscreen when going out. If exposed towards hair or fabrics, it is capable of bleaching them. Can be excessively drying when you’re just starting off using it. But you can overcome this problem by either limiting its application or using it in small amounts. You are better off start using it in small concentrations, and only once a day. You can then gradually increase its concentration and applications so that you can start getting better results. Take a small amount of this wash in your palm. Work it into lather and then gently massage it on your wet face. Thoroughly rinse and then pat dry. (Optional) Apply a moisturizer if you feel excessive dryness. Keep it off your lips as it can dry them out. If you want to go outside after using it, make sure to apply an acne sunscreen. The best available face wash for acne sufferers with sensitive skin. It doesn’t contain any well-known acne-fighting ingredients, but it does help keep your skin clean and clear. Seamlessly removes dirt and bacteria from your skin, resembles Cetaphil Cleanser in its gentleness. Best For: Oily, sensitive, and combination skin. But can also be used for other skin types. A must have for oily/sensitive skinned acne sufferers. Although, it is 100% oil-free and soap-free, it does not leave your skin excessively dried. Removes makeup like a charm. Want to remove your eye-liner, or even the waterproof mascara? Not a big deal. A chemical based product . You should check if you’re allergic to any of its ingredients. A little harder to rinse off than an ordinary soap bar. It does have a little faint odor that might not appeal to everyone, but it’s certainly not heavily perfumed. A pea-size of this face wash won’t effectively work into lather. You’ll need to pump some more into your hand. Take a bit more than a pea-sized amount of Olay Foaming Face Wash Sensitive Skin in your hand. Lather it up nicely with a little water and gently massage on your face. Now, just rinse it off with warm water. This gentle face wash makes use of gentle botanicals that cleanse and clarify your skin to provide it with a smooth and glowing outlook. Because of its unique science+nature formulation, many dermatologists have recommended it to cope with mild to moderate acne. Active Ingredient: None. It makes use of both chemical and natural ingredients such as aloe vera and lavender, rosemary, lemongrass, and spearmint extracts to keep your skin clear. 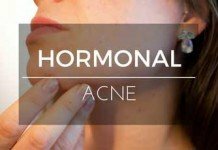 Can effectively fight with your mild acne. Doesn’t irritate or burn even sensitive skins. Vanishes dirt and makeup nicely. Leaves your skin clean and glowing. Can dry out your skin. Limit its usage if it does so. Leaves your skin with a slippery sensation, just like the Dove soap, which (some) people may not like. Removes makeup, but requires a little effort. Squeeze pea-sized amount of basis cleaner clean onto your palm. Massage on your face gently. If it dries out your skin, you should apply a gentle moisturizer for acne prone skin. Clearasil claims that it’s capable of clearing up to 85% of your acne within four weeks. But my experience shows that it’s a good face wash for acne-prone skin, and that it shouldn’t be taken as a stand-alone acne treatment. The already added moisturizer makes this face wash particularly effective for sensitive skin. But make sure to check if your skin is not sensitive towards its active ingredient. Best For: Sensitive and oily skin. Active Ingredient: Salicylic acid (2%). Not as harsh as most salicylic acid acne treatments. Salicylic acid present in it penetrates into your skin and clear your pores of dirt, oil and bacteria. Effective against blackheads and whiteheads, and other mild blemishes. Also suitable for eczema sufferers. Not a quick fix. Requires 3-4 weeks of continuous usage to clear your skin of blemishes. Not recommended if you’re allergic or sensitive towards its active ingredient, salicylic acid. Nothing fancy: Take a dime sized amount in your hands. Work into lather. Massage on your wet face. Rinse it off. And you’re done. Dermatologists’ favorite, and for a good reason. The property that makes Purpose Cleansing wash unique is its delicacy. Although it’s designed for all skin types, there are better choices than this if you have an oily skin. Best For: All skin types, including sensitive skin. So, it’s highly unlikely that it will cause some allergic reactions. Doesn’t dry out or irritate your skin. Seamlessly removes dirt and bacteria without stripping like a soap bar. Won’t bleach your hair like most cleansers do. Gentle as it sounds. Leaves your skin with a soft and smooth sensation. Not a standalone acne treatment. Can be over-drying. Use it in small proportions if it does so. Might help preventing future break outs by keeping your skin clear of dirt and bacteria, but won’t necessarily clear your existing acne. Can remove makeup, but you have to lather up a couple of times to do so. When you’re just starting out, use it in small proportions (more water and less face wash). Wet your hands and face. Mix a pea-sized amount of this face wash with water and work into lather. Gently massage it on your face, and then thoroughly rinse off. Do not use it with other acne medications (like benzoyl peroxide) as it can cause excessive dryness in that case. If you feel dryness after using it, apply its virtuous twin, Purpose Dual Treatment Moisture Lotion. This uniquely formulated acne wash from Neutrogena makes use of an effective anti-acne ingredient, salicylic acid to unclog your skin pores and prevent breakouts. Dryness is a sure thing when you’re using salicylic acid on your skin. So, you will need a suitable moisturizer to apply after using this wash.
Best For: All except very dry and sensitive skins. Eliminates mild acne blemishes like blackheads and whiteheads and prevents future breakouts. Specially designed for acne-prone skin. If you’re looking for a salicylic acid acne wash, this is the product to go for. Works great for unclogging skin pores. Makes your skin clearer and brighter. Can cause excessive dryness and irritation if you’re allergic or sensitive towards salicylic acid. Can cause adverse effects if used with other topicals. In the beginning, you are better off using it once a day. As your skin gets used to it, use it twice daily to get optimum results. Gently massage Neutrogena Acne Wash on your skin. Rinse thoroughly afterwards. Dryness is likely to occur after using it, so apply a good quality moisturizer. If you still feel excessive dryness, irritation, swallowing, or redness, stop using it right away. It may just not be for you. Proactiv is well-known for its anti-acne product range. Their products are carefully formulated by skin care experts to fight acne and improve overall skin outlook. Read detailed Proactiv reviews here. Best For: All skin types except very sensitive skin. Active Ingredient: Benzoyl Peroxide (2.5%). Specially designed to fight acne. 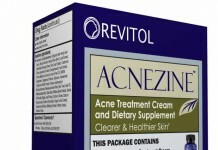 Benzoyl peroxide acne medication present in it helps eliminate bacteria that cause acne. Contains tiny exfoliating beads that help shedding dead skin cells. It is designed to remove excess oil and skin-diluting impurities from your skin without disrupting your natural skin moisture. You shouldn’t use it if you’re sensitive towards benzoyl peroxide. Can bleach your hair or fabrics, so avoid contact. Not an all-natural product, contains a lot of chemicals. Apply bit-sized amount on your skin. Gently massage it for 1-2 minutes to allow acne medication to cleanse deep. Rinse thoroughly afterwards with lukewarm water. This cleanser can increase your sensitivity towards sunlight, so apply a sunscreen if you’re going outside. Dermatologists’ favorite, a flagship product from a major benefactor of Dermatology Foundation, Cetaphil. This gentle skin cleanser rinses off nicely, and cleanses your skin of dirt and bacteria without irritating. It is well-known and time-tested for its delicacy. Officially claimed to be tolerable for even baby skin. Perpetually popular among acne sufferers for its ability to keep your skin delicately clean and prevent breakouts. Best For: Dry skin, but it’s designed for all skin types. Active Ingredient: No active ingredient. But it’s primarily based on water, sulfates and (to some extent) parabens. Moisturizes your skin while cleansing. Doesn’t leave residue, which most “gentle” cleansers do, that causes pore clogging. Leaves your skin with a fresh, smooth and shiny outlook. 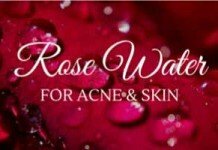 Works for rosacea, eczema, psoriasis and acne-prone skin. One of those rare cleansers that can work for (almost) all skin types. Although it is quite rare, the parabens (synthetic preservative chemicals) contained in this cleanser can bring some side-effects. It can cause some dryness. So, you may need to apply its twin, ultra-hydrating moisturizing lotion from cetaphil. If you’re on the go, just apply a small amount of cleanser on your face. Rub it gently, and then remove excess with a dry wash cloth. In your regular regime, just massage it on your wet face and rinse off afterwards. Two washes a day with this cleanser would be just fine. The flagship product from a highly reputable Canadian company, Spectro. It is a dermatologist’s tested cleanser that is specially formulated for acne-prone skin types. It won’t only clear your skin of excess oil without over-drying it, but will also balance your skin pH levels and leave it with a soft and smooth sensation. Best For: All, including dry and sensitive skins. Active Ingredient: No active ingredient. But free from harsh, irritating chemicals like dyes, sulfates, parabens, sodium, and lanolin. Can clear your skin of blemishes faster than many other counterparts. Softens your skin as it cleanses. Counts as one of the best acne treatments for teens. Even if it doesn’t clear your acne, it effectively keeps your acne-prone skin smooth and excess-oil-free. Doesn’t make your skin greasy, and fights effectively against blackheads and whiteheads. Not a good makeup remover. But with a little work it will be off. You just need to wipe it out with a cloth or rub your mascara gently. Works best when you use it under a warm shower, so that your pores are open and it’s able to penetrate well. Doesn’t lather up nice, even with some water. The smell doesn’t appeal to all. Take about 3 full pumps in your hands – enough amount for your effective one-time wash.
Massage Spectro Jel Cleanser on your skin for about 1 minute and rinse off with lukewarm water. The better (but gentler) you rinse, the greater it will perform. Although it doesn’t overdry, you may want to put a moisturizer on your skin if it dries out too much. The gel feels weird in the beginning as it’s not like your regular cleanser, but you’ll work it out after a while. If you’re already using some other products, it will take time to let it set. So unless it irritates your skin, give it time to do the work. It’s a very gentle cleanser. So, even if this feels harsh on your skin, your last resort should be Cetaphil Gentle Cleanser. A great cleanser for acne sufferers, with extremely rare negative reviews. The peppermint included in this product, armed with its tremendous therapeutic properties, tingles your body and clears your mind. So, this cleanser won’t only clear up your acne, but will also soothe your mind and reduce stress. Best For: All skin types, even sensitive skins. Active Ingredient: Peppermint essential oil. Made with mostly natural ingredients. Also contains organic coconut oil, hemp oil, jojoba oil, and olive oil. 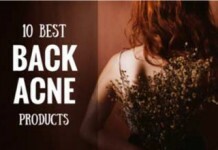 Fights back acne and shrinks blackheads. Unlike most other cleansers on this list, Dr. Bronner’s Castile liquid soap has the ability to fight even the severe forms of acne. A naturally soothing scent that you can’t get in any other cleanser. From teenagers to adults, works for all. You’ll need to use it consistently (a couple of months) to see noticeable results, especially in your body acne. It really burns your eyes in a flash so you’ve got to keep it away from them. 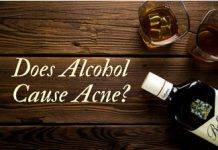 Although it’s extremely rare, it is possible that your acne might get worse because of being sensitive or allergic to some of the ingredients in this product. If this happens, stop using it right away. Take 3-4 drops of Dr. Bronner’s Liquid Soap into your hands. Lather up nice and massage gently on face. Use twice a day to get optimum results. Keep the soap out of your eyes. If it gets into your eyes, rinse your eyes with water for 15 minutes. If it feels overly dry after using it, apply a moisturizer. It’s a daily use formula. 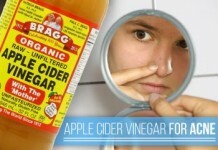 Perfect for getting rid of whiteheads, bumps, and occasional cysts. Makes use of benzoyl peroxide to fight acne causing bacteria. It utilizes the “pore penetrating technology” that enables it to deposit medicine deep where the bacteria reside in your skin. Best For: All skin types, but a best choice for oily skin. People with very dry skin should a little careful. Active Ingredient: Benzoyl Peroxide (10%). Fights acne long after you’ve cleansed your face with it. Can also help prevent new breakouts. Its consistency is delicately creamy, and it will leave your skin with a soft and smooth sensation. It can cause excessive skin dryness because of 10% BP. But you can avoid that by first using it once a day and in small concentration. Dryness can also be dealt with by applying a good quality moisturizer. It leaves a film after cleansing, which isn’t liked by many. It’s capable of bleaching your hair. So, avoid contact. Gently massage this Clean & Clear cleanser on your face for 20-30 seconds, at least. Just rinse off your face and pat dry. Using another topical acne product with it can increase the odds of getting skin dryness. So, avoid that. Also, because this product is capable of causing skin dryness, start with one application daily. You can then increase its usage to twice a day when you feel it right. A gentle cleanser that doesn’t overdry your skin. One of the most favorite products of acne sufferers from Olay. Best For: Normal, combination, sensitive, and dry skin. There are other better choices if you have an oily skin. Active Ingredient: Not just one. It employs a lot of organic and synthetic ingredients. Makes your skin fresh and smooth. A delicate, mild scent that doesn’t bother anyone. Best used in combination with Olay Toner. One 6.78 Oz bottle typically lasts for 6-8 weeks, which makes it pretty economical. Not a good choice for oily skin. Wet both your hands and face. Dispense a little amount of Olay Cleanser in your hands and massage it on your face gently. Wash it off your face. Just as the name describes, it’s a gentle cleanser that doesn’t dry out your skin. Best For: Normal, sensitive, combination, and dry skin. Can increase greasiness if you have oily skin. Works for all. Teenagers, adults, elderly, everyone. Despite being extra gentle, it won’t clog your skin pores. Leaves your skin moisturized, fresh and clean. Can be irritating if your skin isn’t used to synthetic ingredients. Doesn’t easily remove makeup, being a gentle cleanser. You’ll need to use it as a tissue off cleanser for doing so. Wet your hands and face with lukewarm water. Take a trifle amount in your hands. Gently massage on your face with circular motion for 20 seconds, at least. Wash off with lukewarm water, and pat dry with a soft towel or tissue. Cetaphil is my personal favorite, which gives it an unfair advantage here. Just joking, though. The data speaks for itself. I’ve researched dozens of products, and this really has of one the best user reviews. This also makes it easy to understand why your Derm always recommends Cetaphil Cleanser. Best For: Combination, normal, and oily skin. However, for an extremely polar combination skin (like having very dry cheeks and oily forehead), a better choice is Cetaphil Gentle Cleanser. Active Ingredient: No active ingredient. But all ingredients used are mild and non-irritating. Specially designed for rosacea and acne-prone skins. Removes makeup nicely, despite being a gentle cleanser. One bottle goes a long way, so it’s certainly light on your wallet. It cleanses your face gently, without leaving residue. It’s non-comedogenic. Because a gentle cleanser doesn’t always clog your skin pores. Can dry out your skin if you use it with another acne medication (like BP). Doesn’t lather up nicely. It’s not a foaming cleanser. Gently massage a little amount on your face (both hands and face wet). This flagship cleanser from Neutrogena not just clears your face of acne and controls excessive oiliness, but it also improves your complexion. Best For: Oily skin. Be careful if you have very sensitive or dry skin. Truly one of the best choices for oily skin. Prevents oil gathering on your face all day long. Helps drying out existing pimples and prevents future breakouts. If your pores get clogged frequently, it will put a dead end to it. Can cause excessive dryness for people with dry skin. You can apply a moisturizer to prevent that. Make sure you’re not sensitive or allergic towards salicylic acid. Or you’ll end up worsening your acne. The presence of Salicylic Acid in it can cause excessive dryness and irritation on your skin. So, it is highly recommended that you start off small with it. Initially, only use it once a day. Then gradually increase its usage to twice, or even three times a day if you like. Squeeze a little amount in your hands and massage on your skin with circular motions. Afterwards, thoroughly rinse off your face. It’s good to use a sunscreen with this product to avoid sun damage throughout the day. The best product I’ve listed on this page, period. Phisoderm Deep Cleaner beats every single “hand-picked” cleanser on this page on the basis of user satisfaction. Best For: Normal, combination, dry and even sensitive skin. Active Ingredient: Contains vitamin E and other natural ingredients such as aloe and chamomile. Helps balancing your skin’s pH levels, which is essential for skin health. Thoroughly cleanses your skin without causing excessive dryness. Pretty economical compared to its other counterparts. Free from alcohol, soap, and dye – so it won’t dry out your skin or cause allergic reaction. Effectively removes makeup without drying or tightening your skin. Leaves no residue on your skin that causes pore clogging. Just wet your face and apply small amount of Phisoderm Cleanser on your face. Massage gently and then rinse off. For even better results, you can follow up with Phisoderm daily moisturizer. A powerful cleanser specially designed to suit acne-prone skin. 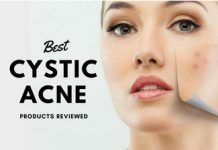 Makes use of the best natural and scientific anti-acne ingredients such as papaya extract and salicylic acid to shed dead skin cells and promote skin rejuvenation. Active Ingredient: No active ingredient. Contains salicylic acid, lemon and papaya extract, vitamin C and more. 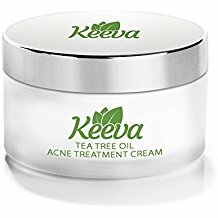 Unique science+nature formula, highly successful in fighting acne. Salicylic acid penetrates deep into your skin, removes dirt and fights acne causing bacteria. Citric acid from orange extract helps improve skin tone and lightening skin discoloration. One bottle lasts very long as you only need a bit-sized amount to cleanse. Has a mild, natural orange scent. Removes makeup without stripping off your skin’s natural oil. Leaves your skin with a soft and smooth texture. Can’t be taken as a stand-alone acne treatment. Not for people sensitive towards salicylic and citric acid. Although rare, can cause dryness and irritation on your skin. Start off using it once daily if you’re new to salicylic acid. Massage gently and then rinse off your face. Avoid contact with the eye area, at all costs. Dryness is a sure thing when you’re applying SA on your skin. So, if it does happen, you can either use it less often or follow it up with a moisturizer. When you’re fighting acne, it’s important that you don’t irritate your skin. On the other hand, it is also important to keep your skin clean and clear. So that’s why, ordinary face washes and cleansers don’t work out for acne-prone skin. This carefully formulated, ultra-gentle cleanser from acne.org rinses your skin clean without disrupting your skin pH levels. 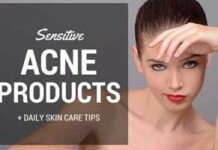 Formulated by the founder of Acne.org Dan Kern to enhance your anti-acne regimen. Doesn’t dry out, irritate, or burn your skin. Can also be used as a gentle shaving cream. The double-sized bottle that costs only three bucks more than the regular 8 oz bottle lasts for two months. It may not remove mascara and other eye-makeup. You have to shave quickly (if you’re using it as a shaving cream) as it dries out fast. Can be overdrying if your skin is intolerant towards sulfates. Claimed to be unscented but has a chemical smell that’s not admired by many. For regular cleansing, just wet your face. Lather it up in your hands (one pump is enough) and massage gently on face. Rinse off. For shaving, use Acne.org Gentle Cleanser just as your regular shaving creams. Dispense 2-3 pumps into your hands. Get a nice thick lather and apply. And enjoy a shaving cream that doesn’t include irritating ingredients like many others. The only product I’ve listed here that is capable of fighting even severe forms of acne, like cystic acne. Active Ingredient: No active ingredient. Contains mostly natural ingredients. Claims to quickly eliminate acne without causing side-effects. Best choice for nature lovers. 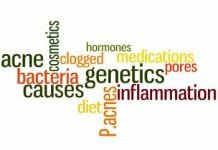 Much less-likely to cause side effects compared to its other counterparts. Not just a face wash, you can apply Nanocleanse on any part of your body to fight body acne. Eliminates acne while soothing and moisturizing your skin. 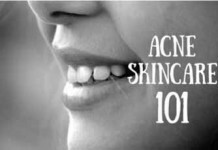 For this particular listing, it comes with Acneprin anti-acne pills that fight acne from the inside out. Can increase sun sensitivity. So, apply a sunscreen when going outside. If you’re allergic or sensitive towards sulfur, it can cause dryness and irritation. You can’t use it to remove your eye-makeup. You actually need to keep it well away from your eye area and lips as it can cause burning. You can use this cleanser twice a day – in the morning and evening. Just take a dime-sized amount and apply on your wet face. Massage with circular motion for 1 minute, at least. Gently rinse off with lukewarm water. If irritation occurs, which is rare, you can decrease its usage to once a day. If you prefer organic or natural, then Tree To Tub is a choice you should look into. Its signature ingredient, the soapberry, creates a gentle, luxurious lather that’s naturally pH balanced, anti-inflammatory, and antibacterial. While it cleanses dirt, makeup, and excessive oil, it gently keeps your protective barrier intact, preventing breakouts. With organic açaí, aloe vera, and chamomile, the rich antioxidants leave your skin smooth and calm. Active Ingredient: Soapberry extract (88%). The soapberry lathers well. So, this 6 oz bottle goes a long way. Comes in Awakening Peppermint for a refreshing morning, and Relaxing Lavender for the nighttime. The brand uses only essential oils instead of artificial fragrance, so no allergic reactions. Comes in a beautiful care box and a few raw soapberries (which could also be used as face wash). It’s the only product on the list that’s organic, vegan, cruelty free, eco-friendly, and dermatologist recommended. Its consistency is too liquid, just like water, which is hard to get used to at first. It’s an organic natural cleanser. So if your condition is very severe, chemical based active ingredients might work better for you. The pump comes with a convenient travel lock, but make sure you unlock it before use. Be careful to not let the watery liquid escape between your fingers. Enjoy its essential oil scent as an add-on aromatherapy in the shower. The soapberry is extremely gentle, so it’s ok for most people to wash more than once a day. What do you think of all these products? Have you tried, or intend to try any one of these? Let me know in the comments below! Thanks for reviewing all these products. 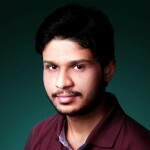 You have clearly mentioned pros and cons which will help users to choose right one. Very well written and informed article. Thank you for writing it and helping me and others!! @ brazen i also get exposed to sunlight a lot and would recommend Cetaphil as it has no photosensitive effects. I use Cetaphil wash and it has really been a great help with my acne. it cleans your skin thoroughly while still being gentle. i would recommend using this with a cleansing brush (clarisonic, luna, spin brush etc) and following with a toner preferably one with witch hazel. these combination of things has worked wonders for my skin. 3 months down the line the improvement has been fantastic. All I’m dealing with now is the scars (Hyperpigmentations). What about charcoal cleansers? Yesto tomato charcoal cleanser and Biore charcoal acne clearing cleanser ? I haven’t really tried them, but have heard good about them! They tend to work better for oily skin, not preferable for dry-sensitive skin. Nice reviews! I’ve been using Dermalogica for years long for something new. Hi, thanks very much for this article! For the top pick, I noticed that Misumi’s two cleansers (Clear Skin Salicylic Cleanser and AHA 10% Skin Perfecting Cleanser) are used interchangeably, so I was just wondering whether you’d recommend one over the other or whether they’re fairly comparable. Thanks! It really boils down to your own preference or to which one your skin responds best. 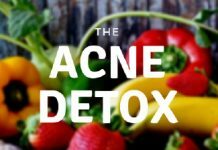 They are both effective in fighting acne in their own way. However, the salicylic acid cleanser is still a milder option.